A brilliant website is just the starting place. It's nothing more than a piece of technological art unless it produces results. In business, those results are reflected in the bottom line. Your website is a potential powerhouse - able to send a river of traffic to your business... if anyone can find it. Accessible Computing® helps you harness the power of Internet marketing to help them find you. Here is just some of what Accessible Computing® will do to build your site's online presence. For more information on how you can use these tactics to make your website even more effective, request a free consultation. Getting a steady stream of traffic to your website is important, but even more important is the number of visitors that convert to customers. 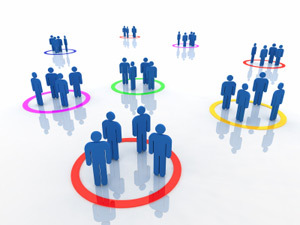 We develop Internet marketing plans that draw targeted traffic. Successful small business marketing is the next best thing to hand-picking your visitors. The people who want your products are out there. Internet marketing with a plan and a vision. SEO. PPC. SEM. CPC. CPM. ROI. Might look like alphabet soup to you, and that's okay. They're important initials, along with terms like: keyword research, link building, and meta tag creation. They're all just terms for the tactics Accessible Computing® specializes in to get your website seen by people who are anxious to do business with you. Keyword Research - We perform an in-depth campaign of research in your industry, identifying the keywords and keyword phrases your customers are most likely to use when they search for you. Meta Tag Creation - Professionally copywritten meta tags and meta descriptions on every page in your website makes them irresistible to the search engines. Optimized Site Content - A thorough analysis of your website's content yields a powerful action plan we can use to help your site move up in the search engine. Link Building - Sometimes even simple changes make a huge difference in how your site ranks with the search engines. Effective link building takes your site optimization to the next level and makes you more visible than ever. Custom SEO Strategy - Looking at your website from the foundations, up, we'll customize a comprehensive list of SEO strategies most crucial to making your business flourish. Off-Site SEO - Professionally-crafted articles and press releases drive traffic to your site. Accessible Computing® can help you harness the power of words to boost your Internet presence even further. Accessible Computing® understands that Internet marketing is not simply a matter of plastering ads all over the web. We take a deliberate, systematic approach to Pay-Per-Click advertising. We start by defining your goals and determining what you want to accomplish with your online marketing. With these goals in mind, we'll develop a step-by-step plan with measurable results. Not only will we then implement this plan, we'll also continue to monitor and assess the success of your Internet marketing campaign. To learn more about our Internet marketing services, request more information today. We look forward to showing you how Accessible Computing® can take your website to new heights.